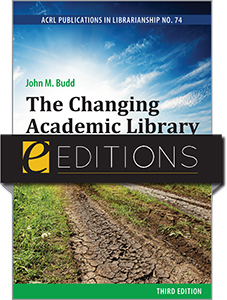 The Changing Academic Library, Second Edition, number 65 in the ACRL Publications in Librarianship (PIL) series, is a completely revised, enhanced, and updated edition of John M. Budd's The Changing Academic Library (PIL # 56, 2005). 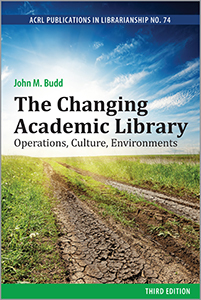 This book has been completely updated and revised to reflect the dynamic states of higher education and academic libraries. 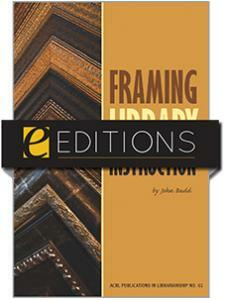 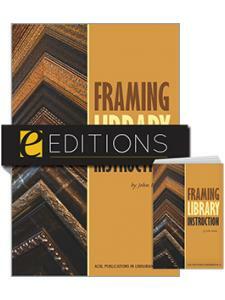 It presents a critical examination of major issues facing colleges and universities and the unique challenges that their libraries must come to grips with. 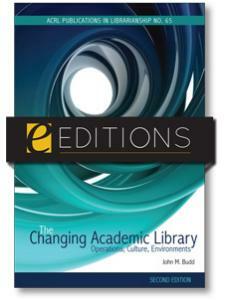 Current practice is reviewed, but it is examined in the broader context of educational needs, scholarly communication, politics and economics, technology, and the nature of complex organizations. 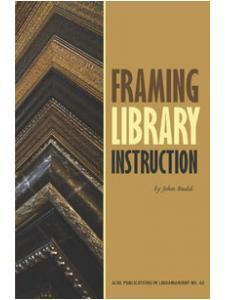 The book may be used as a text in library and information science courses, as well as an introduction for new professionals and academic administrators.